Native Detroit performance sensation Q Harper (the eleventh of twelve children) was born Quintin Deon Harper to William and Mary Harper. His love for music was inherited from his father as he began his performance career at the tender age of five. While under the watchful and demanding tutelage of William Harper, Q Harper quickly developed an uncanny, almost enigmatic facility with music, a language he actually prefers to what he calls “all lesser forms of communication”. Despite his incredible abilities with the acoustic guitar, piano, and writer’s pen, it is his voice, the first of all instruments, which demands and arrests the ear. Boasting a beautifully even and technically flawless tonal quality, this artist’s upper and lower vocal registers are rendered with remarkable consistency as he seamlessly moves between each mechanical height and depth— both spontaneously and upon command. Moreover, the timbre of his voice is hued by colors derived from only the deepest feelings, full of sincerity, truth, and a God-given emotional intelligence and sensual intuition. Two unquestionably perfect examples of this type of natural and emotive vocal talent are Luther Vandross and Brian McKnight, artists to which Q Harper’s gift can be arguably and justifiably compared. Q Harper, an inspiring balladeer, whose music comes from a time when music was original, raw, and straight from the gut, heart, and soul of an artist. In his music you will find a connection of old school flavor with new school vibes. His hot new album "ONE",featuring the hit single “Quiet Time”,shows how Q Harper possesses the ability to captivate the listener with his lyrics, music, and intimate vocals, leaving them longing for more of his musical style. 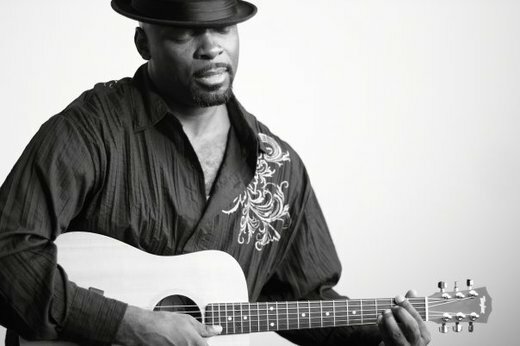 Further influences upon Q Harper’s soulful R&B, inspirational, and funk delivery are the likes of The Isley Brothers, Phyllis Hyman, Donny Hathaway, Marvin Gaye, and Al Jarreau, with a gripping, “troubled blues” overtone reminiscent of the late Ray Charles. At a time when true artists are hard to come by, “one does come by”.